FIG 2. 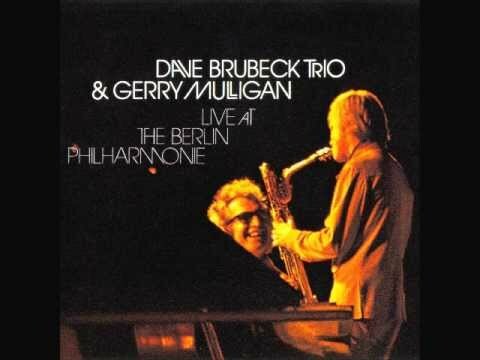 Dave Brubeck (piano), Mulligan (Baritone Saxophone), Cal Tjader (drums) and Ron Crotty (bass) in the album of "Dave Brubeck Trio Live and Gerry Gerry Mulligan at Berlin Philarmonic" in 1970. FIG 4. The Dave Brubeck Quartet in 1967, with Joe Morello (drums), Eugene Wright (bass), Dave Brubeck (piano) and Paul Desmond (saxophone). FIG 5. The jazz musician Dave Brubeck (piano), Paul Desmond (alto saxophone), Eugene Wright (double bass), Joe Morello (drums), in London 1966. FIG 6. Dave Brubeck’s portrait on the cover in Take Five (CBS 01.07.1959). FIG 7. Dave Brubeck with his band performing the “Take Five” in Germany in 1966. FIG 8. 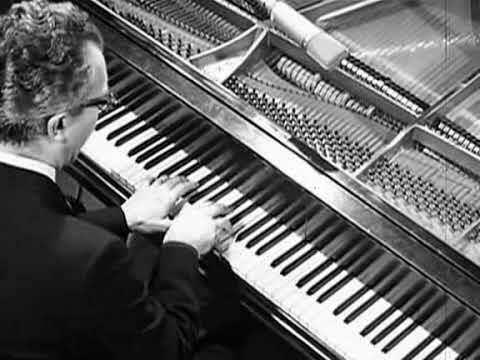 "Blue Rondo à la Turk", a jazz standard composition by Dave Brubeck which appeared on the album Time Out in 1959. It is written in 9/8 and swing 4/4. FIG 9. 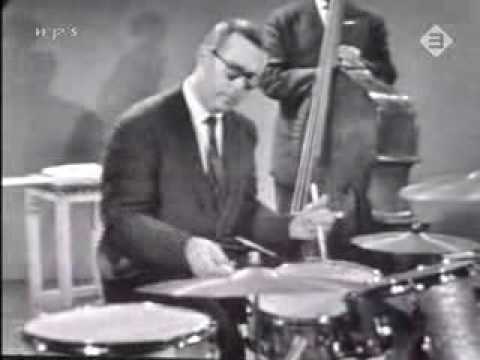 Dave Brubeck Quartet performing the "Three To Get Ready" from the album Time Out. FIG 10. Time Out Full Album of the Dave Brubeck Quartet (1959). Dame Myra Hess, DBE (25 February 1890 – 25 November 1965) was a British pianist. She was born in London as Julia Myra Hess, but was best known by her middle name. At the age of five she began to study the piano and two years later entered the Guildhall School of Music, where she graduated as winner of the Gold Medal. She studied at the Royal Academy of Music under Tobias Matthay. Her debut came in 1907 when she played Beethoven's Piano Concerto No. 4 with Sir Thomas Beecham conducting. She went on to tour through Britain, the Netherlands and France. Upon her American debut (New York, 24 January 1922) she became a prime favourite in the United States, not only as a soloist, but also as a fine ensemble player. She also has a surprising link to jazz, having given lessons in the '20s to Ivy Brubeck, mother of Dave Brubeck. David Warren "Dave" Brubeck (December 6, 1920 – December 5, 2012) was an American jazz pianist and composer, considered to be one of the foremost exponents of progressive jazz. He wrote a number of jazz standards, including "In Your Own Sweet Way" and "The Duke". Brubeck's style ranged from refined to bombastic, reflecting his mother's attempts at classical training and his improvisational skills. His music is known for employing unusual time signatures, and superimposing contrasting rhythms, meters, and tonalities. For over fifty years Dave Brubeck has been a giant of American jazz, exciting millions of fans and improvising in unique rhythms and time signatures. He changed the landscape of jazz in the 1950's and 1960's, broadening its audience and recording the first jazz album to go gold. And Brubeck's music is still relevant today. In his eighties, he is going strong - performing, traveling, drawing sell-out crowds, creating new music and reaching new heights. Dave Brubeck’s defining masterpiece, Time Out is one of the most rhythmically innovative albums in jazz history, the first to consciously explore time signatures outside of the standard 4/4 beat or 3/4 waltz time. It was a risky move — Brubeck’s record company wasn’t keen on releasing such an arty project, and many critics initially roasted him for tampering with jazz’s rhythmic foundation. But for once, public taste was more advanced than that of the critics. Buoyed by a hit single in altoist Paul Desmond’s ubiquitous “Take Five,” Time Out became an unexpectedly huge success, and still ranks as one of the most popular jazz albums ever. A 1954 cover story in Time magazine described Dave Brubeck as “a wigging cat with a far-out wail,” in a cringe-worthy attempt to approximate the hep lingo of the jazz aficionados who crowded into his performances in the smoky bohemian nightclubs of the day. But audiences flocked to see Brubeck at Carnegie Hall and other highbrow settings, too. Recently I started listening Jazz music. I think I like it as much as classical music, although I don't know as much. I really enjoy the improvisions, the multi rhythmics variations and the romance that this type of music can incorporate. For me, it's the traditional analogue of classical music, perhaps something more. 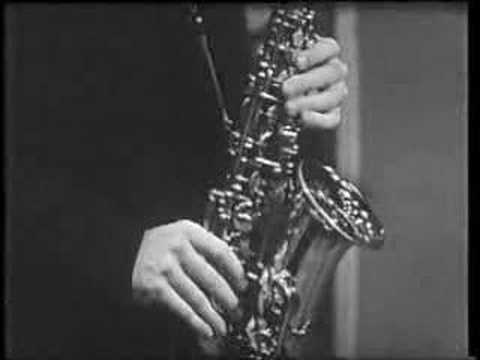 Two of the jazz genres that fits more to my personality, perhaps because they incorporate elements of classical music, are the one of Cool Jazz and West Coast Jazz, which has been developed by the white jazzmen in the USA in the '50s in response to the more emotional bebop of the African Americans. Dave Brubeck was one of the musicians, I found recently, that supported and developed this type of jazz music. Dave Brubeck was one of the most well known American jazz composers (fig. 1). David Warren "Dave" Brubeck was born on December 6, 1920 in San Francisco, in California and died on December 5, 2012 in an area called Norwalk, Connecticut, part of New York metropolitan area. His father, Peter Howard "Pete" Brubeck, was a cattle rancher with swiss ancestry, and his mother, Elizabeth, was a piano teacher with an English German ancestry. In fact, his mother had studied piano in England under Myra Hess and she was intended to become a concert pianist when Dave was in first grade [1, 3]. While I was reading different transforming events of his life, I got very impressed from his strong passion for jazz music and his ingenious in music in general. Dave grow up surrounded by music and he took his first lessons at a very young age, just 4, from his mother. Despite the fact that his mother was so good piano player and both his brothers were later professional musicians, Dave couldn't read music due to poor eyesight. Perhaps, this seems to be trivial, but reading notes is considered essential in classical music education. Furthermore, having a classical education from your mother and from professors in a conservatoire, not "reading music" looks at least in my eyes to be huge. At the age of 18 Brubeck entered the College of the Pacific in Stockton, California, studying veterinary science in order to take over his family ranch. Nevertherless, he abandoned his studies after encouragment of his professor to follow his passion. He entered the music school the next year. His piano teacher found out quickly that he couldn't read a note and as a consequence the dean of the school decided to block Brubeck's graduation in order to protect the reputation of his school. But because Dave excelled in reed and brass instruments, while he was at the top of his class in composition, harmony and musical improvisation, the dean finally decided to let him graduate if he would promice that he would never teach and embarass the school .The dean agreed and Dave graduated in 1942. But for him taking a degree wasn't as much important as playing the music he liked, i.e. jazz . After his graduation in 1942, Dave enlisted the army and shortly thereafter married iola Whitlock, a student from Pacific with whom he had six children. After his discharge from military service he enrolled in 1946 at Mills College in Oakland, California to study composition with the French composer Darius Milhaud. Darius was the one who encouraged Dave to pursue a career in jazz and to incorporate jazz elements into his compositions. Therefore in 1947 Dave formed the Dave Brubeck Octet, and in 1949 Brubeck with Cal Tjader and Ron Crotty, fellow Octet members, cut their first award-winning Dave Brubeck Trio recordings (fig. 2, 10) . Brubeck bacame particularly popular during the 50s and 60s with his group "Dave Brubeck Quartet" (fig. 4, 5). After suffering a near fatal diving accident in 1951, Dave formed the Dave Brubeck Quartet with the alto saxophonist Paul Desmond, a former member of the Octet. Their collaboration lasted more seventeen years, giving them a lot of reputation. The Dave Brubeck quartet’s recordings and concert appearances on college campuses and major cities in the ‘50s and early ‘60s introduced jazz to thousands of people [4, 7]. In 1954 Dave Brubeck’s was the first jazz artist to land on the cover of the Time Magazine with a story about the jazz renaissance and Brubeck’s phenomenal ascendancy. I came across to Brubeck's name while I was listening three of the most famous jazz masterpieces, the "Take Five" (fig. 6, 7), the “Blue Rondo a la Turk” (fig. 8) and the "Three To Get Ready" (fig. 9). In 1959 the recording “Time Out” (fig. 10) experimented in time signatures beyond the usual jazz 4/4 . To everyone’s surprise “Time Out”, which was named after the song's 5/4 time signature, became the first jazz album to sell over a million copies and “Blue Rondo a la Turk” and “Take Five”, with a Grammy award in 1961, began to appear on jukeboxes throughout the world . Early in his career Brubeck wrote primarily for this Quartet, and some of those pieces, such as “In Your Own Sweet Way” and “The Duke” became part of standard jazz repertoire. Although the “Dave Brubeck Quartet" didn't stay with the same members after 1967, it made different recordings and tours around the world. Throughout his career Brubeck has continued to experiment with interweaving jazz and classical music while he has performed as composer-performer with most of the major orchestras in the United States and with prestigious choral groups and orchestras in Europe and America. Furthermore, he has received national and international honors and numerous honorary doctorates from American, Canadian, English and German and Swiss universities, like the Yale School of Music, Fribourg University and the University of Michigan . Brubeck has a numerous of compositions including orchestral compositions, like “Elementals” (1962), musicals, like the “The Real Ambassadors” (1962), his Easter oratorio “Beloved Son” (1978), a popular Christmas choral pageant “La Fiesta de la Posada” (1979), a composition for string orchestra, such as the “Regret” (2001) and many others. He had cooperated with well known music companies such as Fantasy, Columbia, Sony Music, Telarc . Finally the life of Dave Brubeck, was the subject of an acclaimed documentary film by Clint Eastwood in 2010, under the name "Dave Brubeck: In His Own Sweet Way" .